Hazen Ranch Estates offers Idaho living at its best. 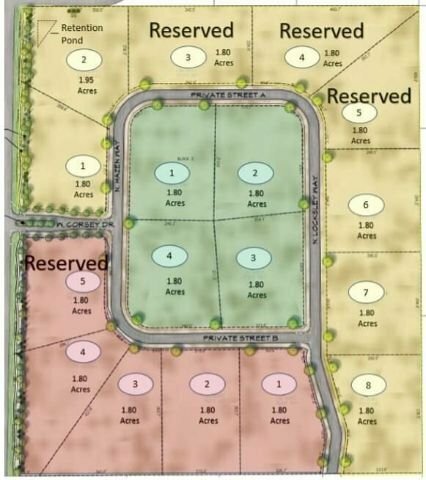 This exclusive community of just 17 estate-sized (1.8 acres) homesites is located in north Eagle, ID. This sought-after area is the perfect place to escape the big city without sacrificing the convenience and amenities you expect. Build your dream home on your dream lot with the builder of your choice; the possibilities for your new property are endless. A tranquil country oasis with beautiful views and a prime location, Hazen Ranch Estates real estate is a rare luxury not to be missed. Search all new homes in Eagle on WeKnowBoise.com, your local resource for home builders and new subdivisions in Eagle, Boise and throughout the Treasure Valley. From N Eagle Rd head west on W Floating Feather Rd. Turn right (north) on N Meridian Rd. The subdivision is on the right before W Beacon Light Rd - Eagle, ID 83616. Just 17 new homes will be built in this boutique Eagle community. To find your new home in Hazen Ranch Estates, contact us online or call (208) 391-4466 today for professional, personalized service.